Each year, the DNA bestows grants to community organizations that have an impact on the greater downtown area, particularly those that help or enrich the residential quality of life. Each recipient goes through an application process and before the DNA Board of Directors for selection. 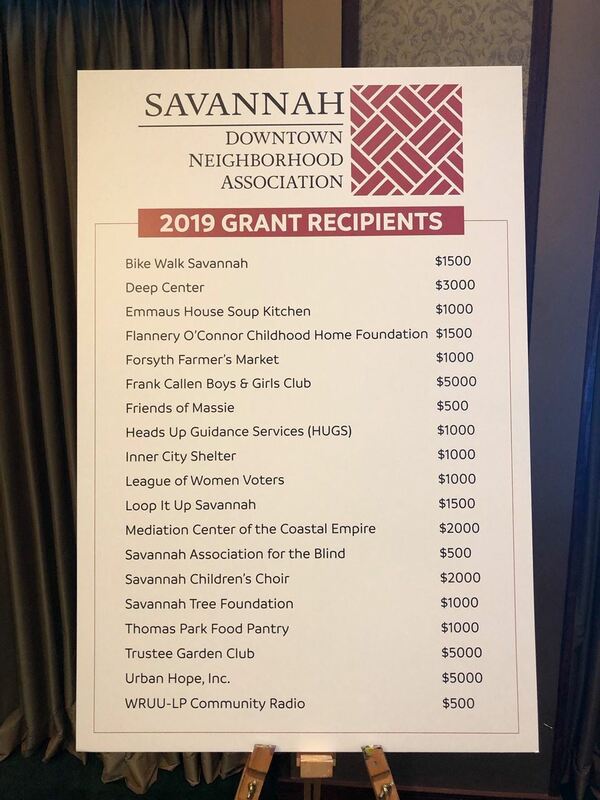 The funds for the grants are raised each year through the DNA’s Savannah Holiday Tour of Homes. Members and supporters of the DNA open their homes and inns for visitors to tour and learn about architecture, home décor, and the history and culture of the South. Close to a hundred volunteers supported the day-long event held last December. The DNA sold more than 800 tickets and raised $45,000 from the event. With two-thirds going to grants, the additional $10,000 will support community initiatives that address livability issues for downtown residents. 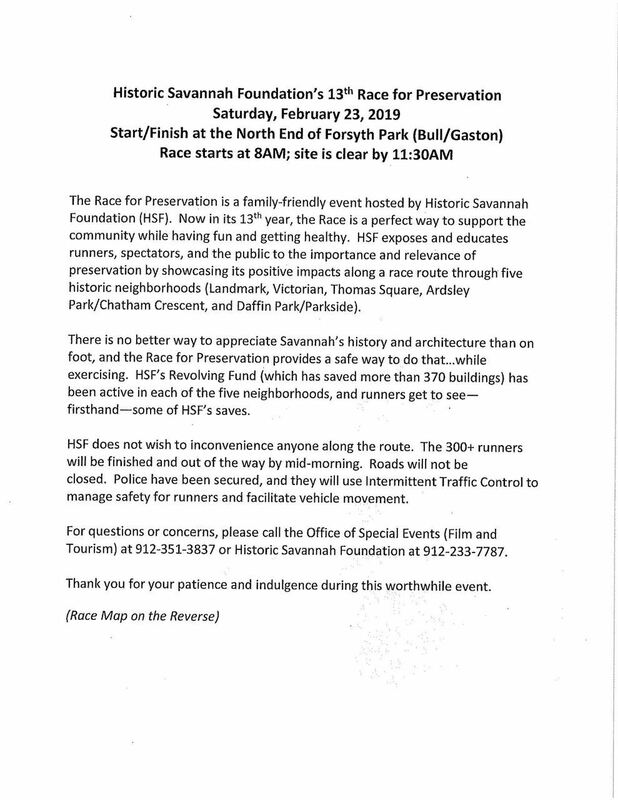 The Old Savannah City Mission 5K will be Saturday, March 30th at 8:00 a.m. It will start at Forsyth Park, run the perimeter of the park, and then head south on Bull Street, ending on Maupas Street. A course map can be found HERE. The Publix Savannah Women’s Half Marathon & 5K will be held April 6th, starting at 7:30 a.m. Twelve Historic squares will be on the route. It will also be winding it's way to Daffin Park before heading back downtown. 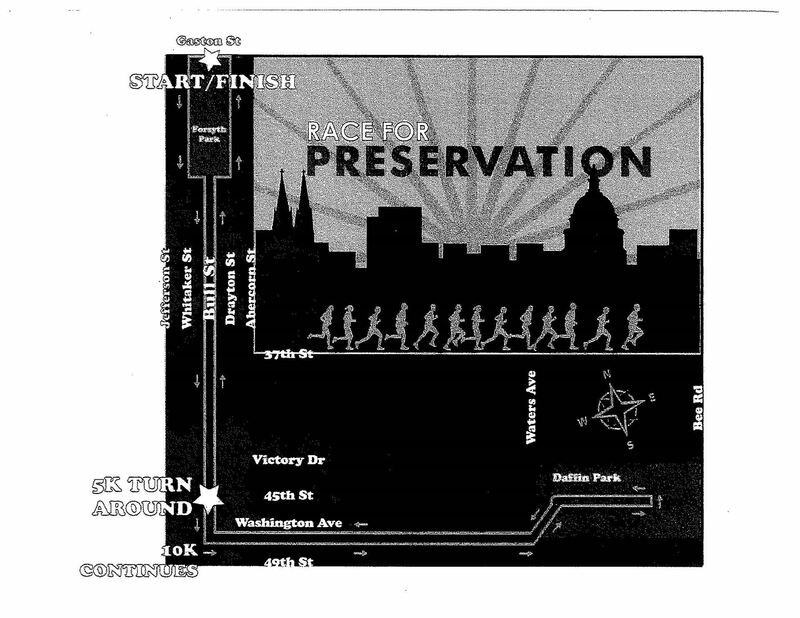 The race starts at Bolton & Drayton Streets and will finish in Forsyth Park where there will be live music and entertainment open to the public. Are you interested in serving on the Downtown Neighborhood Association's Board of Directors? Or do you know of a neighbor who would be a tremendous asset to the Board? Nominations are currently being accepted for our all-volunteer Board. The election will take place online in late April and the new Board will be introduced at DNA's Annual Meeting and Spring Picnic in May. 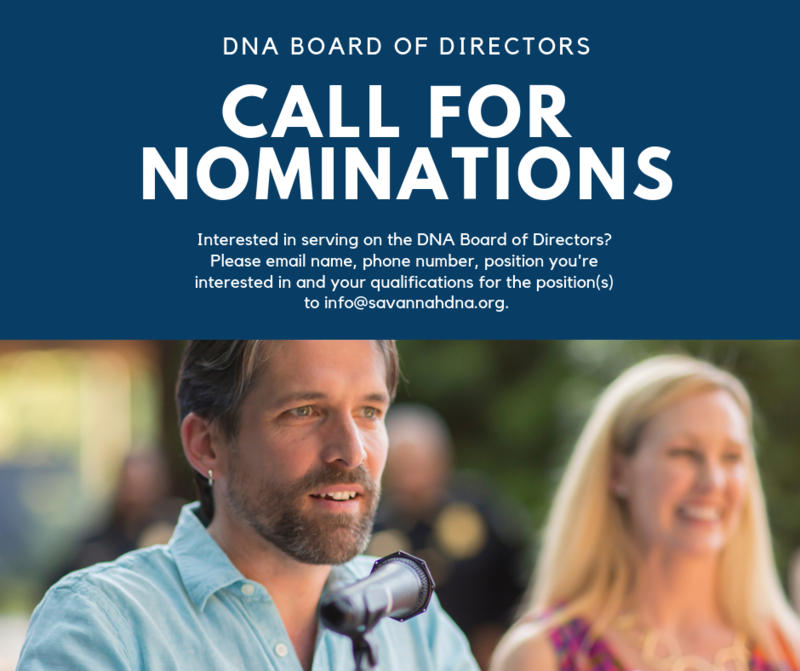 Interested individuals should send an email to info@savannahdna.org and include name, phone number, position(s) interested in and qualifications for position(s). City of Savannah Mayor Eddie DeLoach will deliver the State of the City address on Tuesday, February 19th at 6:30 p.m. in the Coastal Georgia Center. Members of the public are welcome and encouraged to attend. Residents wishing to view the speech at home can tune in to a live stream through the City’s 24-hour streaming YouTube channel at http://savannahga.gov/sgtv or through a live feed on the City’s Facebook page. Due to the Mayor's State of the City address taking place on the same evening as the February Downtown Neighborhood Association meeting, we have made the decision to cancel the meeting. Neighbors are encouraged to attend the State of the City event. The Savannah Police Department will host a Coffee With a Cop event on Tuesday, Dec. 18th from 9 - 11 a.m. at Indulge Coffee inside of Mailbox Cafe located at 1305 ½ Barnard St. Hope to see you there!